Celebrating the 8th Annual Designer Toy Awards, Kidrobot, Clutter, and The Designer Toy Awards have once again teamed up to bring collectors a visual treat! American Gross, Cat Atomic, Chauskoskis, CZEE13, Dima Drjuchin, DJINN&TONIC, DROLDN, Flüke, Gabriel E. Carpio S., Gorgocho, Grizlli Atom, HungryGhost, HX Studio, JC Rivera, Jeff Lamm, Jeremiah Ketner, Jump Jumper Ant, Katie Gamb, Kelly Denato, Kendra’s Customs, Klav, Kyle Kirwan, Mark Nagata, Pidgin Doll, RunDMB, Seriously Silly K, Wonder Goblin. 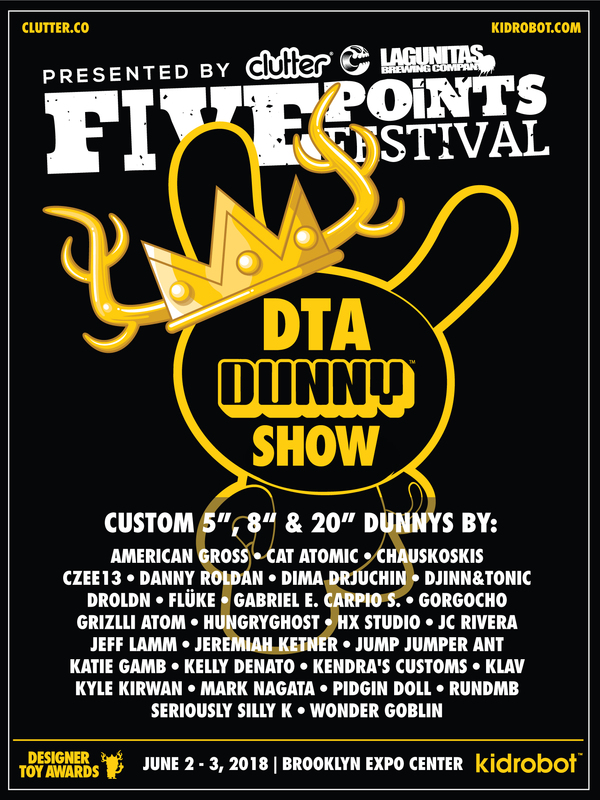 A mixture of 5″, 8″ and 20″ Dunny will be on display during Five Points Festival, June 2 – 3, 2018. Remaining pieces will be displayed at The Clutter Gallery (163 Main St., Beacon, NY), for the remainder of the week. 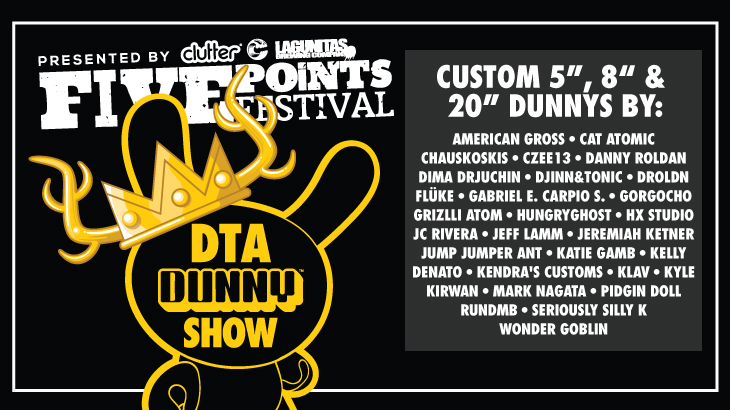 Pieces will be first available on the floor of Five Points Fest, then online at shop.cluttermagazine.com.